The second feature will take all the objects selected in the scene hierarchy and make prefabs for each of them. The third feature is an extra credit feature that will create a material from a selected texture in the project view. The last feature is one for me. When unity creates or renames a C# file (I code in C#), it doesn’t change the name of the class. You then get errors of file name not matching the class name. My final tool will fix that for all selected CS files. 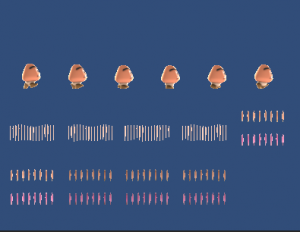 This section of the lab we developed a sprite sheet. Below is the result of the project using my sprite sheet that I made. To get the final sprite animation to work use the ‘D’ Key. This section we developed a timer system. 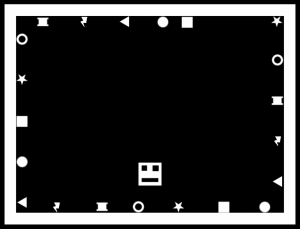 The controls are the number characters 0-9 and the letter ‘T’. Below is the resulting scene. 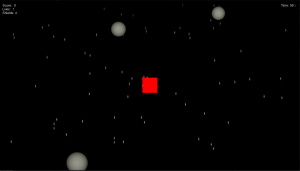 I went through the video tutorials and built the space shooter game. I added features after the videos for a score multiplier, double shot, power up, and extra life. The max number of lives is 4. 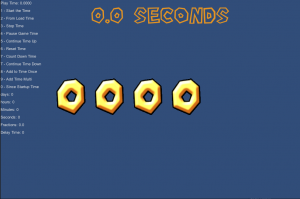 If you win, the shields remaining and the number of lives are added together to form a score multiplier. There are also 3 difficulty settings. Survive the full 60 seconds to win. 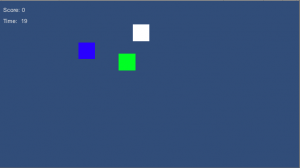 I went through the video tutorials and build the point and click game. I added features after the videos for a countdown on the circle as well as a blink effect. I also added movement to the cube objects. In order to win you must score 30 points in 30 seconds. The circles are worth 2 points and the Squares are worth 1 point. 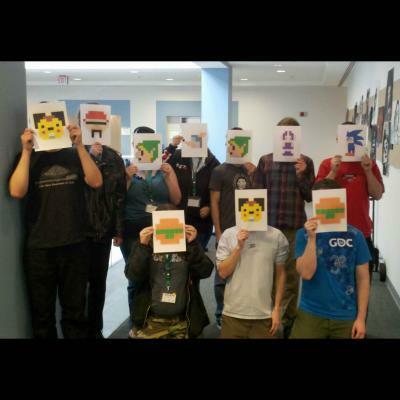 This years global game jam has come to a close. This year we tried something different. All the GGDA Chapters got together in one central location, SPSU. 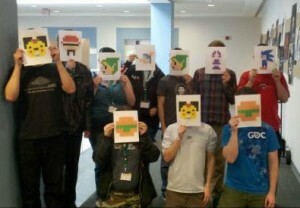 This allowed schools to work together in order to produce games. Team Nostalgia (as we came to call ourselves), consisted of 5 Engineers from UGA, 4 Artists from SCAD, and 1 Sound Engineer from UGA. We produced the game: Super Mega Turbo X64 Box. You can play the game below. It does require the Unity Web Player if you don’t already have it. For those who don’t know what the Global Game Jam is, it is essentially a 48 hour contest to write games based on a theme. This year’s theme was extinction and produced some very creative ideas.